Moorfield offers top of the range luxurious penthouse units for your cat. The penthouse suites are fully insulated, double glazed and centrally heated. Each penthouse has its own covered outside run overlooking the woods with a resting ledge, scratching post and a small chair with a cushion. The guests bed and “vet bed” blankets are thoroughly washed, disinfected and dried before the next guest takes up occupancy. The penthouse suite and run is thoroughly cleaned and disinfected using Trigene disinfectant before the next guest arrives. Cats must be vaccinated against Panleukopenia (Feline Infectious Enteritis), Feline Calicivirus and Feline Herpes Virus (these are both common causes of Cat Flu) and Feline Leukaemia Virus. All vaccination certificates must be shown when you bring your cat for it’s holiday. 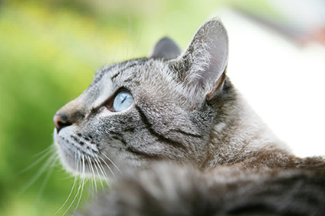 These vaccinations are to protect your cat as well as our other guests. Your own Veterinary Surgeon will be able to help and advise you on any vaccination concerns that you may have. Any medication or additives to your cat’s diet can be administered if required. Please ensure that you transport your cat in a secure carrier.